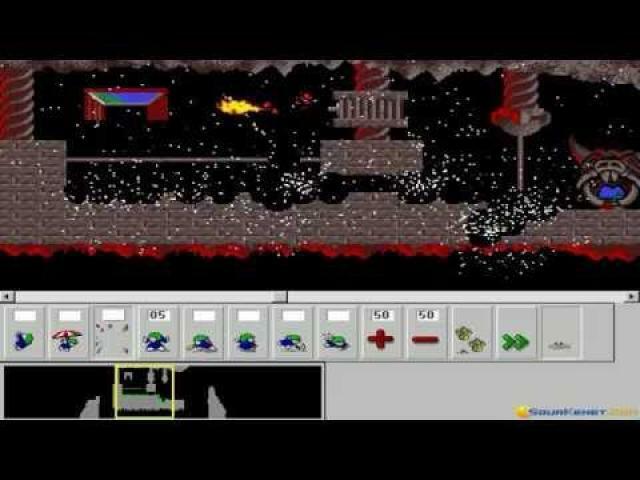 Top version of 2D lemmings; save `em all! 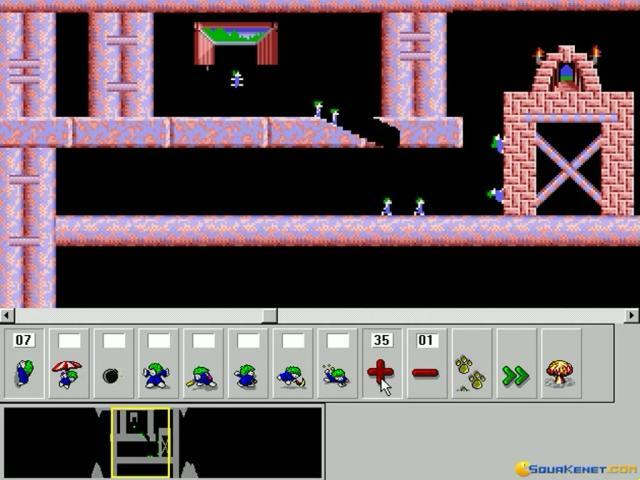 Lemmings '95 is a sidescroller action/adventure/puzzle game, in which, as you probably know, you have to take a group of Lemmings from one part of the map to the exit. Lemmings, as it has come to be known, are social and they will follow one another around. Thus, the perils of each level have to be tackled in advance if the lemmings population is to make it to the end. Fortunately, Lemmings have a lot of skills: they can build bridges, they can build platforms, they can tell others to stop and so on. Using the instructions you are given each level, you can navigate the levels; some of them are more intricate, others more simple, yet all of them have a challenge you need to accomplish before you get the game to work. 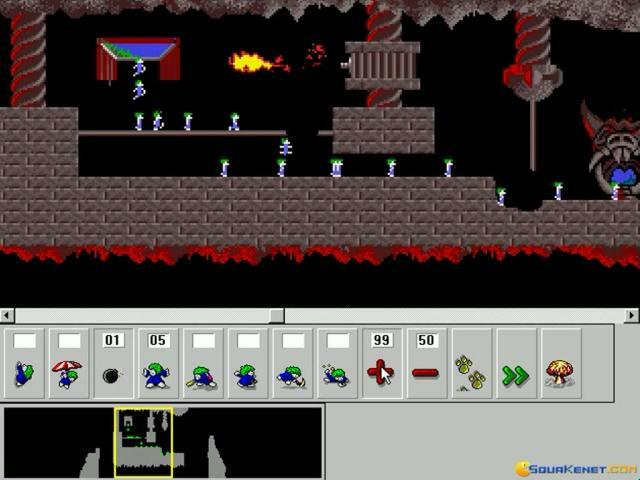 So, all in all, Lemmings '95 is as cool as they can get, 2D, with nice 2D graphics, sweet animations and, also a pretty intricate and well produced set of levels, that get more difficult as you go on. Another great game in the series, worth downloading is also Lemmings Chronicles, a sort of walk through history while making sure your Lemmings survive! 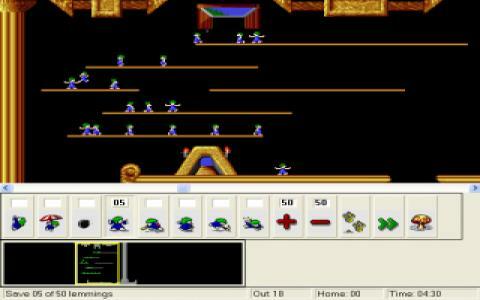 Lemmings, this has always been a classic strategy game. 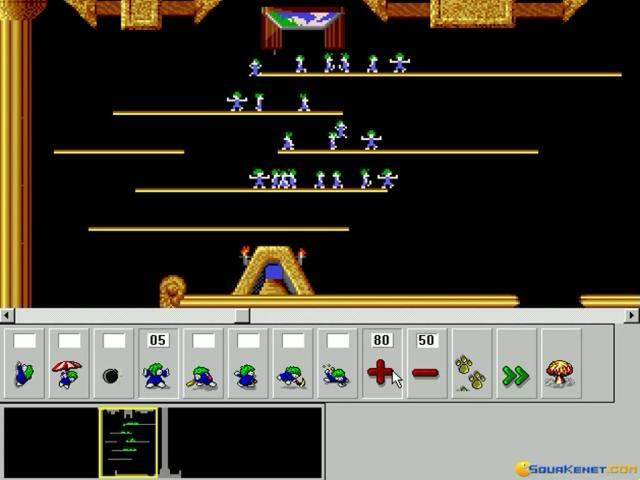 Your Lemmings fall out of a trap door somewhere on the level, presumably from another world or the last level. Then begins the procession of lemmings falling from the trap door wandering like mindless zombies. The great thing about this game is that it is an entire game based around an animal, the lemming; one of the only species inexplicably known to suicide, and they kill themselves in the bizarre way by jumping off cliffs to their doom and they do this every year in large groups. So your lemmings do the exact same in this game. If there is a cliff, they will all begin to follow one after another walking mindlessly off the edge. Try to send them all to safety and get them to the door that takes them to the next level. 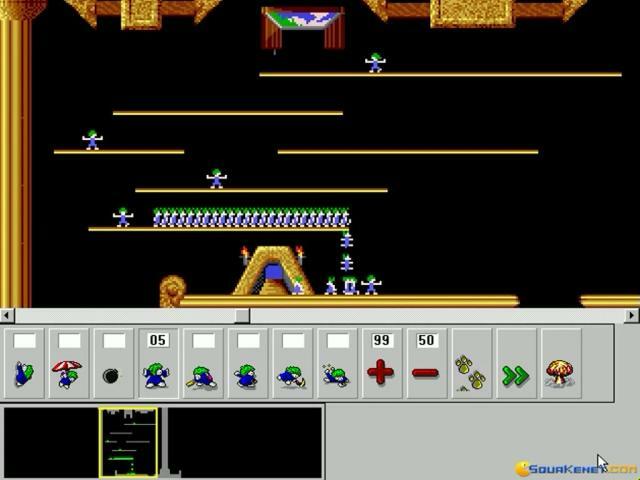 You must get a certain percentage of lemmings to safety to complete each level. This is a great edition and will still run on any windows as a little program that you can play while at work (or home). This is a puzzle game, that you can continue to pick up years later on the PC and still enjoy as much as you did on a 486 from the 1990's. 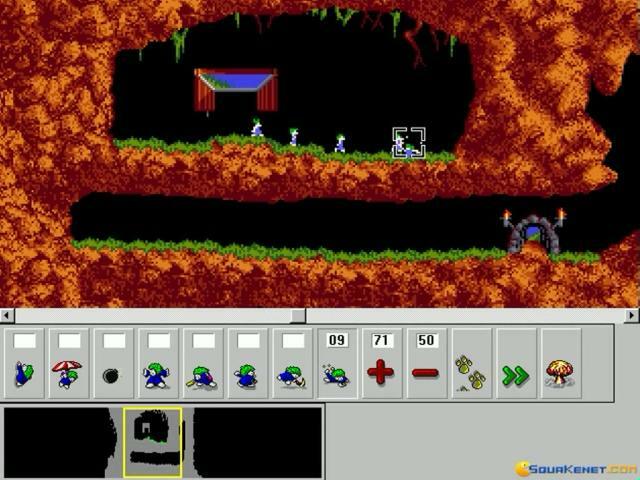 If you get stuck on some of the levels, the sequels Lemmings 2 and Lemmings Paintball is also worth playing, but will never compare to playing the original Lemmings. 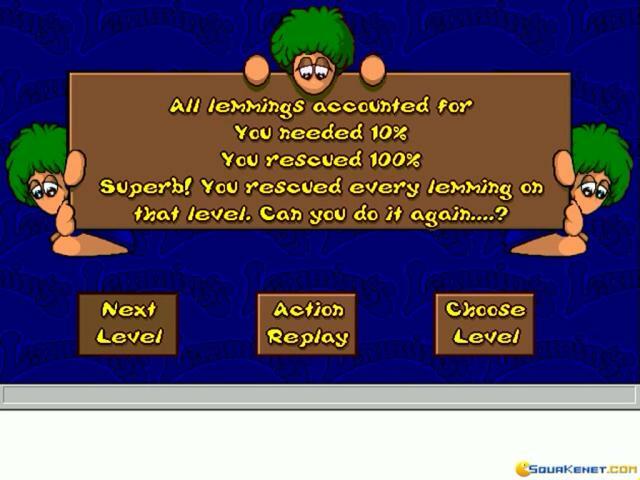 Lemmings 95 is in fact a re-release of the first two Lemmings games for Windows 95 in the purpose of making the game available for new players and enter the modern era of video gaming. The Windows 95 version has improved the game a bit in visuals and sound effects, but nothing very drastic. 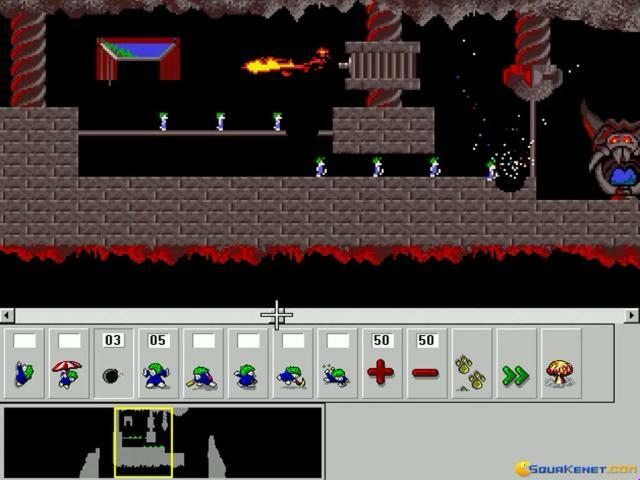 Actually, this are the exact same Lemmings games, only compatible with Windows OS. 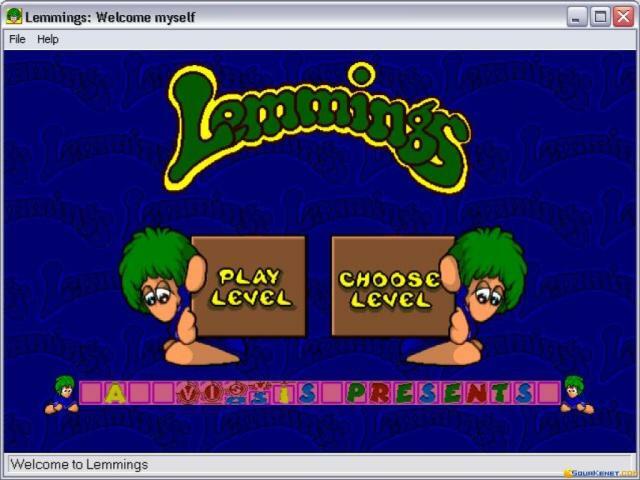 If you don't know what Lemmings actually are, here is quick briefing - Lemmings is a very cute game in which you guide a bunch of mindless wandering Lemmings to safety of the end of the level, and making sure the little folks don't die wandering, and you do this by assigning tasks to them such as digger and etc., thus making a safe passage from them. The game became internationally famous in an instant and there are tons of Lemmings sequels and spinoffs to this day. 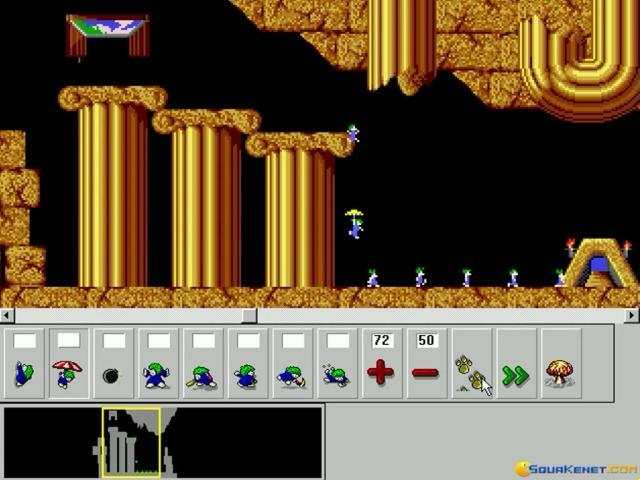 If you've really never hear of Lemmings before, go and get yourself a copy this instant because, except for the insane fun the game provides, it is a matter of common knowledge. Have fun!